Constant cravings and binge snacking can derail an otherwise productive weight loss program. Frequently during the initial first weeks of changing eating habits, the body can be placed under enormous stress, chemically and psychologically. These urges are an attempt to get you to revert back to your comfortable lifestyle and food intake. For this specific reason, Innovative Wellness Solutions has provided the option of incorporating medically prescribed appetite suppressants into your daily regimen, dramatically helping to decrease the risk of temptation. These selected suppressants were chosen for their ability to help you feel full and satisfied, even helping to ensure you don’t overeat at mealtime. When incorporated with your new healthy diet and regular exercise, the urge to snack mindlessly will decrease. The lack of desire to eat unhealthy foods will help keep blood sugar levels from spiking while ensuring the body is reaping the benefits of the nutrient-dense meals incorporated throughout the day from your new eating habits. Phentermine Hydrochloride: Phentermine directly decreases your appetite. Combined with exercise and a reduced-calorie diet it will help curb cravings. Phentermine first received approval by the FDA in 1959 as an appetite suppressant for the short-term treatment of obesity. Anyone who needs to lose weight, whether for image or health reasons, can expect beneficial results by incorporating prescribed appetite suppressants into their weight-loss program. If you suffer from Gout, Sleep Apnea, Diabetes, Hypertension, Gallbladder Disease, Osteoarthritis or have a history of heart disease or BMI of 30 or above, you may want to consider introducing appetite suppressants into your daily regimen. These recommended suppressants should not be incorporated into your program if you are allergic to cold medications, have glaucoma, an overactive thyroid or a history of drug or alcohol addiction. Maintaining an ideal weight is imperative to healthy living. Implementing these specifically selected suppressants can greatly improve the results of your medical weight loss program as well as improving your overall health. Please keep in mind, there is no magic pill to lose weight. 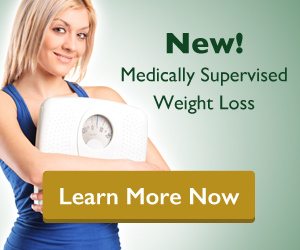 Suppressants are intended to complement your other weight loss efforts. If you have any questions regarding these Appetite Suppressants that has not been addressed on this page, please Ask The Doctor by submitting your question on the form.